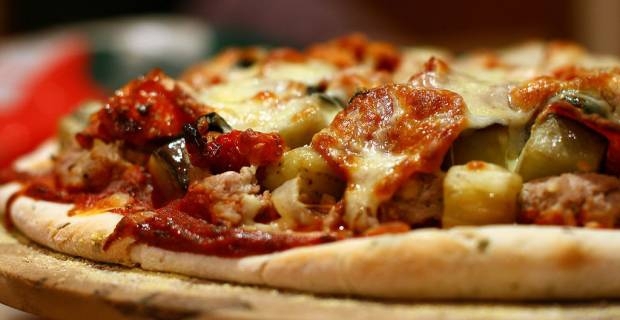 Do you have leftover pizza from last night that you want reheat but don’t know how. There are many effective methods such as using a skillet or toaster oven. But if the only appliance you have in your kitchen is a lonely microwave and you couldn’t possibly imagine eating it cold, then there are a few tips that can help make it somewhat edible again. Here are ways on how to heat pizza in a microwave. Before reheating the pizza, it might help if it is stored correctly. Before throwing the box in the refrigerator late at night, break down the pizza into slices and layer them in a tupperware with paper towel in between wrapped in plastic wrap. Another tip before reheating the pizza in the microwave is to never reheat pizza in a plastic container as it can produce toxins. Use a glass or ceramic plate instead. Now for learning how to heat pizza in a microwave. It is impossible to get reheat a slice of pizza and have a crispy crust. If that is what you want to recreate, it won’t happen in the microwave. While some claim using parchment paper under or wrapped around the pizza helps, it is not very effective, let alone scientific. Most likely the microwave will produce a warm pizza with a soggy crust. Some claim that if you place a ⅔ ceramic cup in with the pizza, the water will boil and evaporate making the pizza a bit more to your liking. It is worth a try, but again, there is no scientific evidence that says this makes any difference. In general it is best to reheat bread, including pizza at a lower power, ideally around 50% and heat it for one minute rather than a quick 30 seconds. It will heat it more thoroughly and at the correct power. Unfortunately there is no great solution on how to heat pizza in a microwave and have it turn out restaurant quality, or anything remotely close to that. If a microwave is all that is available though, use these tips to get better results. It will warm it up which can be better than eating it cold. Enjoy!